Living for 19 years had taught me a lot especially in dealing with fluctuated crisis of life. I learned how to be independent when I know people argued of me still staying with my parents even I'm in college, I learned how to deal with irrational arguments of people about my life which they don't have to, I learned to be as patience as I can as I'm known as a bad-tempered person, I learned to crawl in the mud of filthy words people threw at me, I learned to build an amour of judgement-proof and a the list goes on. Life has thought me a lot so does people who came across it. 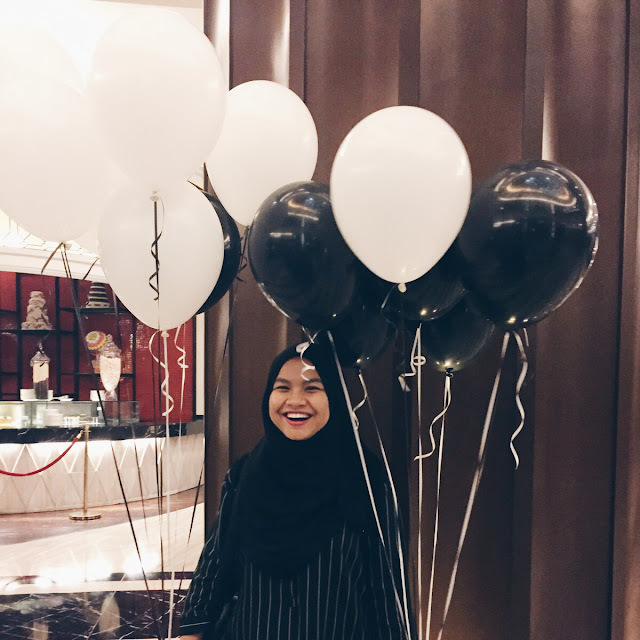 I celebrated my 19th birthday full of laughter and surprises, surrounded by the people I love most and also the people I recently known for few weeks. But then I realized that, these people who sacrificed their time just to make me happy for a day are those I need to treasure most. I don't need any big surprises or a grant party to make it up to, but just the time they spend to make me happy, and that's the most precious thing people could've done for me. Even the time they spend for few seconds just to send me warm wishes text. I can't thank each of them more for all the efforts they've made. Especially to those who're in the middle of preparing for their finals and big exam. Still, the time you've given me is priceless. “Let us be grateful to people who make us happy; they are the charming gardeners who make our souls blossom."